Surveillance Consulting Group (SCG), founded in 1997 by former communication and information systems experts, is a leading company dedicated to producing high-value products and solutions adapted to the clients' specific needs – needs that change and develop continuously due to political and cultural developments and the evolution of technology. Our business success is driven by our long-term strategy of innovation, implementation of the newest technologies and continuous operational improvements. SCG brings new and creative solutions to meet our clients’ ever-changing needs. 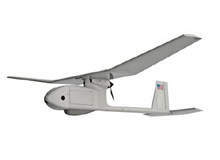 SPC offers a range of standard, camouflaged and remote-controlled audio transmitters and receivers for a variety of situations and a range of surveillance work. Accessories include remote controls and equipment for monitoring telephone conversations. Our engineers have developed an extensive array of video surveillance equipment ranging from sub-miniature cameras camouflaged in eye or sunglasses or buttons, to long-range transmitters and a variety of video and audio receivers for indoor or outdoor use. 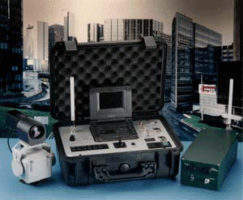 Our range of counterintelligence devices includes professional detection sets allowing for the identification and localization of any RF transmitters and hidden wires. Multipurpose sweeping devices are designed to detect and locate facilities for unauthorized information transmission as well as revealing natural and artificial channels of information leakage. Non-linear junction detectors, electromagnetic field detectors, and radio monitoring devices are also available. 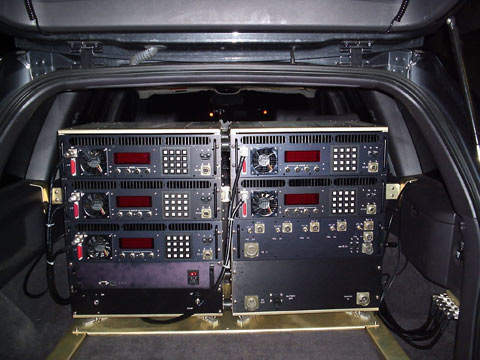 Our PP-VIII network analyser protects against eavesdropping. 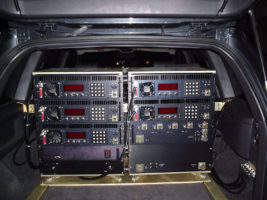 The advanced, automatic radio scanner allows for instant detection of various types of RF transmitters in the frequency range 36MHz – 3600MHz. The system is based on an ultrafast scanner in combination with a spectrum memory and can detect intrusions in just eight seconds. developed so that confidential information can be exchanged reliably and without risk of eavesdropping. The basis of the Crypto GSM is the Siemens dualband mobile phone S 35i. 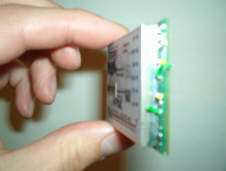 The core, however, is the crypto module. Its tiny size allows it to be completely integrated into the S 35i, so that the Crypto GSM cannot be distinguished from a normal Siemens S 35i handset. In addition to the encryption function, the Crypto GSM offers all the advantages of the latest-generation mobile phones, including superior call clarity and internet access. As a leading manufacturer with widely acknowledged expertise in security industries, we are very aware that terrorism has drastically changed our world. We aim to deliver the most efficient countermeasures and equipment, including bomb jammers and x-ray systems) to protect against these worldwide threats. SCG’s products are divided into two sectors: the non-restricted area and the restricted area for governments and law enforcement departments and agencies. Please contact us to apply for access to the restricted area or use the application form provided on our website. A leader in consulting, SCG offers solutions for the whole range of security challenges – from designing your special surveillance system, to evaluating risks and determining leakages from within your communication system.